“Transportation to Warmth and Safety: Free transportation to shelter is provided to anyone experiencing homelessness in the District during a Hypothermia Alert. To request transportation to shelter for people in Washington, DC who are experiencing homelessness, contact the Shelter Hotline by calling (202) 399-7093 or 311. Please include the time, address or location of the person, and a description of the person’s appearance. 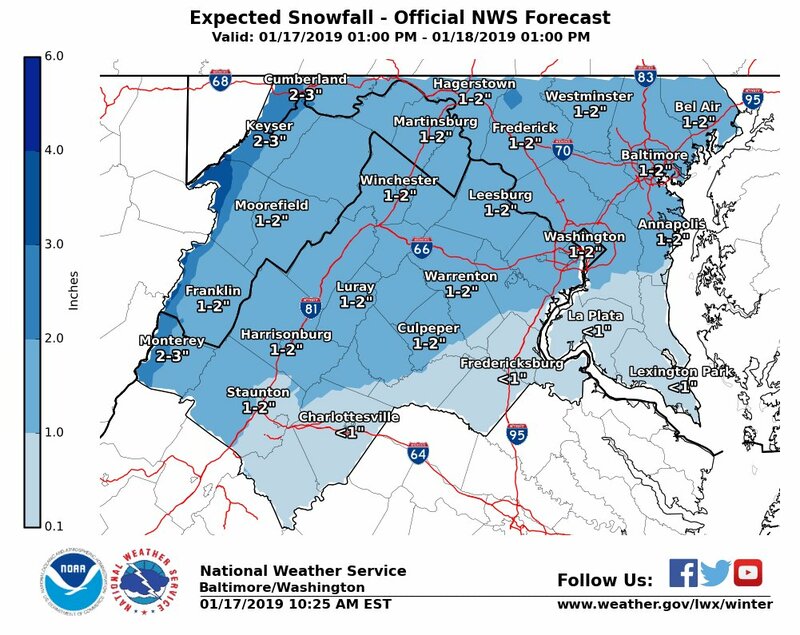 With the National Weather Service (NWS) forecasting a mix of snow and ice this evening, with a likely accumulation of one inch in the District, Mayor Bowser has deployed the DC Snow Team to begin pretreatment of roads at 10:00 a.m. with 39 trucks. At 12:00 p.m., 169 additional plows will begin treating other roads throughout the District. The DC Snow Team’s full deployment will continue overnight and through the Friday morning commute. Residents and motorists can register to receive important weather alerts from the District on their devices by signing up for AlertDC at alertdc.dc.gov. For more information about DC’s snow program and preparing for winter weather, or to see where District Snow Team plows are working, go to snow.dc.gov. Fight the Shutdown Blues with a Party at Baby Wale and a Free Warm Bowl from Chopt.